Political debate during the recent UK general election often focused on the issue of child poverty. In this article, Leslie Ford of the Heritage Foundation, a think-tank based in Washington DC, draws upon sociological evidence from the United States to suggest that the Catholic Church’s vision of the married family is the best poverty-busting measure available to modern society. “I want a Church which is poor and for the poor.” These words, more than any others, have defined the first two years of Pope Francis’s papacy. 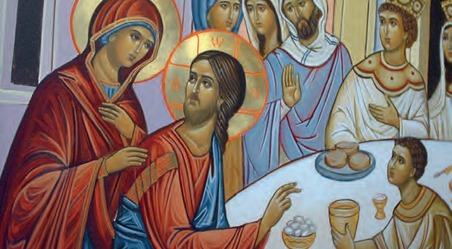 They have guided his every word and deed, powerfully reminding Catholics and non-Catholics alike that the “preferential option for the poor” is central to Christian teaching. This will undoubtedly be a focus of his addresses to the World Congress of Families in Philadelphia and the United States Congress in Washington DC this September. And it is a message American Catholics need to hear. In the US, the poor have experienced a unique form of poverty: a breakdown of the family. 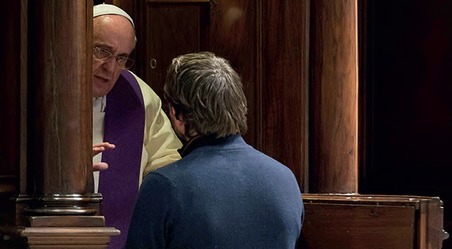 Their plight can be largely attributed to what Pope Francis has described as “the worst discrimination which the poor suffer… the lack of spiritual care.” This manifests itself, first and foremost, in an unparalleled breakdown of the family. This dimension of American poverty has historically been overlooked, with policymakers – and many social justice groups, including Catholic ones – instead focusing solely on financial issues. Since the initiation of President Lyndon B Johnson’s War on Poverty in 1964, the federal government has spent $22 trillion dollars trying to lift low-income Americans out of poverty. Currently, the federal government spends close to a trillion dollars a year on more than 80 mean-tested welfare programmes. As many as a third of Americans receive some form of federal benefits, coming to roughly $9,000 per person. Writ large, it can be argued that many of the material needs of the American poor have been relieved in the past century. According to the food security survey of the US Department of Agriculture, 96 per cent of poor parents stated that their children were never hungry at any time in the previous year. The US Census Bureau found that only 9.5 per cent of poor families reported living in mobile homes or trailers. Forty-two per cent of all poor households own their own homes, and the average home has three bedrooms, one-and-a-half baths, a garage, and a porch or patio. And yet, the American poor still experience a profound privation – one which the welfare state has worsened. The number of children born outside marriage has been steadily rising for the past 50 years. In the 1960s, fewer than 10 per cent of children were born outside marriage. Today, 40 per cent are born to single mothers. The marital situation of the low-income family is now terrifying – 71 per cent of poor families with children are not married. Why has family life for the American poor slipped away? Fifty years ago, the 1965 report by the future Senator Daniel Patrick Moynihan drew attention to the counterintuitive incentives in the welfare state. The structure of welfare support financially penalised mothers who married and rewarded mothers who remained single. Moynihan’s report hypothesised that these penalties increased the number of low-income black children born outside marriage – which then stood at 25 per cent. And yet, the welfare incentives highlighted by Moynihan are still present in the modern welfare state. Today, if a single mother receiving state assistance earns $20,000 and marries the father of her child who makes the same amount, marriage will cost them roughly $12,000. When low-income Americans are forced to make a choice between paying the bills and marriage, it’s no wonder that the marriage rate has fallen. Catholic theology clearly expresses the spiritual good of growing up in an intact family home. But the benefits are also unmistakably substantiated in social science research. Children raised by their married parents have substantially better life outcomes compared with similar children raised in single-parent homes. These children have positive, measureable outcomes: higher education attainment levels, better emotional and physical health, and greater self-esteem. They even have higher regard for marriage. Perhaps most importantly, teens that have intact homes have a better chance of avoiding the pitfalls of high-risk behaviours. Boys who grow up without a father in the home are five times more likely to commit a crime and encounter the justice system. Girls without a father in the home are seven to eight times more likely to experience a teenage pregnancy. The presence of married parents in the home also has an influence on the economic well-being of the family. Marriage alone can decrease the chance of childhood poverty by 80 per cent. It’s not simply the combination of two incomes – research shows that married families earn more and save more. In short, the American welfare state has created a cultural divide between low-income and middle-income Americans. The divide can be seen in many ways. For instance, less-educated women are more likely to be single mothers. Only 8.1 per cent of college graduates decide to have and raise children alone compared with the 65.2 per cent of high-school dropouts who become single mothers. To be sure, the low-income family was not eroded by state welfare policies alone: changing social mores, particular those from the sexual revolution, have contributed to the poor’s marital crisis in a profound way. Although there is ample evidence that married mothers and fathers play an irreplaceable role in the lives of their children, the positive message about marriage was not – and still is not – being told to those who need to hear it most. America’s cultural leaders – including the clergy, policymakers, and even entertainment influencers – must inform and promote the indispensable function of marriage in the lives of children. If the poor truly have a preferential place in the Church, then American Catholics must make promoting marriage our top priority.